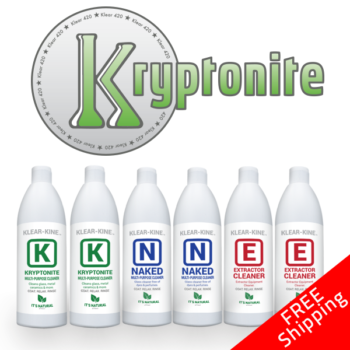 Get one 270ml Kryptonite Original Formula glass and bong cleaner and one 2oz Kryptonite Original Formula travel size bottle with our Kryptonite & Mini Me Pack. Our Original bong and glass cleaning formula can be used to clean your favorite oil rig, extraction tube, glass pipe, water bong or any other hard glass surfaces. 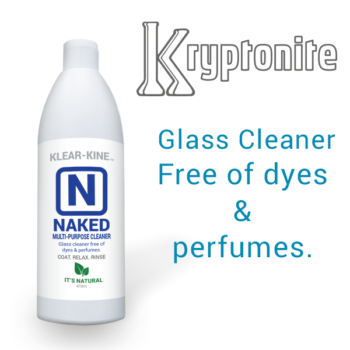 You can also use Kryptonite on any cloth material such as shirts, jeans, or dab rags to get rid of unwanted cannabis stains from dabbing or vape pens. Why get one when you can get two? 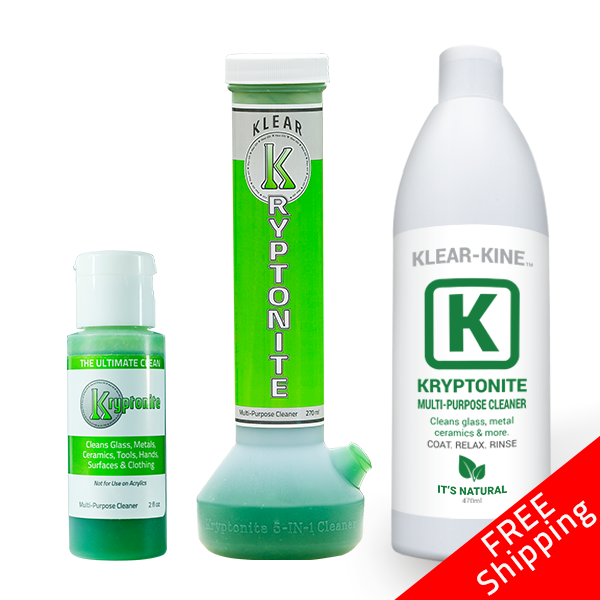 Our Kryptonite & Mini Me Pack comes with a bottle of our 270ml Original Formula and a 2oz Travel Size bottle. Our 270ml bottle comes in a reusable, recyclable plastic water pipe which is always made right here in the USA.